Unity and Its Restoration: Addressed to All Christians Who Desire to Hold the Faith in Unity of the Spirit, and in the Bond of Peace. New York: D. Dana, 1860. Eternal Penalty: Nine Essays from "The Northwestern Church." Chicago: Street and Pearson, 1865. First Principles: Nine Essays from the American Churchman. Is Romanism the Best Religion for the Republic? Six Papers from the American Churchman. New York: Pott and Amery, 1869. The Protestant Episcopal Church and Its Relation to Other Christian Bodies in the United States: Five Papers from the American Churchman. The Church and the Press: Three Essays on the Use of the Press in Church Work. From Report of the Fifteenth Annual and Fifth Triennial Meeting of the Society for the Increase of the Ministry, Held in Grace Church, Baltimore, October 8 and 13, 1871. Hartford: The Church Press, 1871. Sin and Penalty: or, Future Punishment Examined on Grounds of Reason and Analogy. New York: E.P. 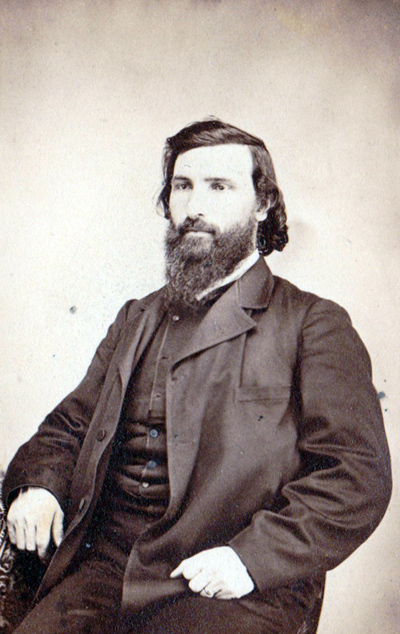 Dutton, 1872. "Copy." Essays from an Editor's Drawer, on Religion, Literature, and Life. The Offertory: A Lost Act of Worship. New York: T. Whittaker, 1873. An Address to the Council of the Diocese of Mississippi, Held in Grace Church, Canton, April 11th, 1883. Oxford, Mississippi: M.M. Moore, 1883. Address by the Rt. Rev. Hugh Miller Thompson at Detroit, Michigan, November 15, 1883, with an Introduction by the Rev. Dan C. Roberts. Concord, New Hampshire: Printed by the Republican Press Association, 1884. The World and the Logos. New York: G.P. Putnam, 1886. The World and the Kingdom. New York: Thomas Whittaker, 1888. The World and the Man. The Historic Episcopate, Witnesses of His Resurrection: Sermon at the Consecration of the Rt. Rev. Davis Sessums at New Orleans, June 24th, 1891. Wilson, North Carolina: Barrett's Printing House, 1891. New York: T. Whittaker, 1892. Absolution Examined in the Light of Primitive Practice. New York: T. Whittaker, 1894. In Memoriam the Rt. Rev. David Buel Knickerbacker, Third Bishop of Indiana. The World and the Wrestlers: Personality and Responsibility. More Copy: A Second Series of Essays from an Editor's Drawer on Religion, Literature, and Life.